At the 2015 European Lung Cancer Conference (ELCC), held in Geneva, Switzerland (15–18th April 2015), much of the discussion centred around three major areas of interest in non-small-cell lung cancer (NSCLC): immunotherapy, targeted therapies for molecularly defined subtypes, and how to deal with emerging resistance to those targeted therapies. Immunotherapy with checkpoint inhibitors such as nivolumab continues to exceed all expectations in terms of overall survival. The first Phase III randomized trial data for nivolumab compared with docetaxel as a second-line therapy for squamous NSCLC demonstrated an improvement in overall survival of 3.2 months. The trial had been terminated early due to an assessment made by the independent monitoring committee, which concluded that it had met its survival improvement endpoint. The US FDA subsequently approved nivolumab based on these early results and these trial data were made publically available for the first time through FDA prescribing information . Subsequently, the EMA has recommended granting a marketing authorization in the EU as well . The conference also heard of significant cohort expansions in the Phase I and II trials of checkpoint inhibitors, with trial sizes increasing from 30 patients up to 100 or more. The promise of immunotherapy continues to be borne out with significant long-term response rates and long-term stabilization of disease, even as a third or fourth line treatment . However, the challenge of identifying patients most likely to respond to immunotherapy still remains, and the conference heard that a robust biomarker that could aid in selecting patients for these treatments is yet to be found . While there are candidate biomarkers under investigation, it is too early to say which of these are most promising, so for the time being immunotherapy trials are still working with unselected patient populations. There is evidence of a differential response to immunotherapy in smokers compared with nonsmokers. While this does not in itself constitute a biomarker, it appears that smoking status acts as a surrogate marker for mutation load in the tumor, which in turns improves the antitumor immune response. The promise of immunotherapy is not limited to NSCLC however, and the conference was told of several ongoing clinical trials of checkpoint inhibitors in other thoracic malignancies such as mesothelioma and small-cell lung cancer. Another area of great discussion at ELCC was the development of personalized therapies targeting molecularly defined subtypes of NSCLC. The focus at this stage is largely on adenocarcinoma, for which there is already a number of treatments targeting ALK and EGFR-mutations, but there were discussions on progress across the whole range of oncogene-addicted tumors; EGFR, ALK, BRAF, ROS1, RET, HER2, and KRAS. The use of new technologies for routine wide-range assessment of mutations – such as next generation sequencing– and how to deal with the huge amount of data obtained represents an ongoing parallel discussion. The conference received summaries on progress with novel second-generation ALK inhibitors and third generation EGFR inhibitors. For example, the use of selective, irreversible EGFR tyrosine kinase inhibitor AZD9291 or rociletinib at first-generation tyrosine kinase inhibitor resistance – showing encouraging duration of response and progression-free survival – was discussed as well as the current trial portfolio with these agents . New generation ALK therapies also showed improved affinity and improved specificity, as well as the ability to deal with some resistant forms of the proteins and some refractory disease. In addition to this, they also indicated improved penetration into the brain in order to reach brain metastases. For example, investigational ALK tyrosine kinase inhibitor brigatinib showed intracranial antitumor activity and durable responses as a second-line therapy in patients with ALK-positive NSCLC . Considerable discussion of BRAF-mutated NSCLC, which constitutes approximately 2% of lung adenocarcinomas, also took place. The conference was shown a very interesting retrospective analysis of BRAF patients in Europe, who have been treated with BRAF inhibitors vemurafenib or dabrafenib in clinical trial environments or through compassionate use programs. This analysis reported an overall response rate of 53%, although among patients with non-V600E BRAF mutations the response rate was much lower . This demonstrates that patients with BRAF-mutated NSCLC can benefit from a personalized approach to treatment – BRAF-targeted treatments showed they should be considered for these patients. However, given the rarity of patients with BRAF mutations, clinical trial progress is slow and we are still at a relatively early stage of drug development for this subset. In terms of other oncogene-addicted tumors – such as ROS1, RET , and HER2 – research is continuing in an effort to prove the benefits of personalized targeted therapies in patients with these mutations. Finally, another challenge facing the emerging practice of molecularly targeted therapies is the problem of resistance, and this was discussed in several presentations at ELCC. The experience with EGFR- and ALK-targeted therapies suggests that resistance develops in approximately 50% of patients. There is therefore considerable demand for therapies that are effective in these resistant patients. Some of these patients respond to the newer generation drugs, but there is evidence that in some cases, the tumor is able to develop alternate signaling pathways, known as bypass-tracks resistance mechanisms, that are independent of the ALK and EGFR mechanisms. These are proving difficult to counteract, and so far, much of the research is focusing on trying to understand what is happening at a molecular level within the tumor. In summary, the ELCC 2015 provided a quality overview of current areas of research, inspiration and renewed focus in efforts to provide the best medical care available for patients with lung cancer. ESMO is the leading European professional organisation committed to advancing the specialty of medical oncology and promoting a multidisciplinary approach to cancer treatment and care. 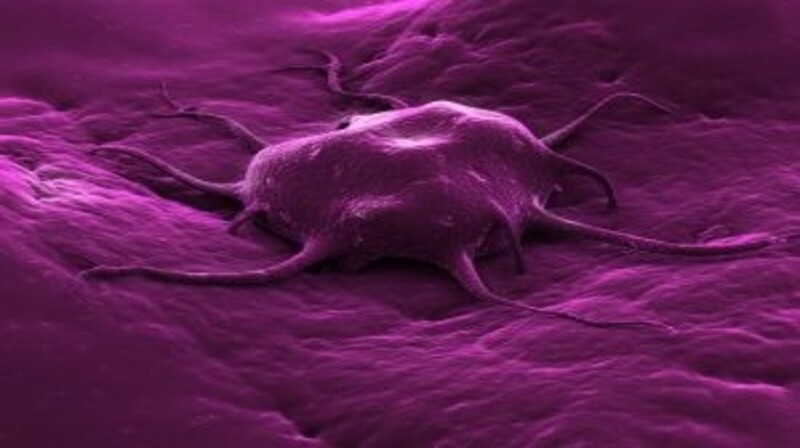 FDA News Release: FDA expands approved use of Opdivo to treat lung cancer, 4 March 2015. www.fda.gov/NewsEvents/Newsroom/PressAnnouncements/ucm436534.htm Last accessed 24 May 2015. European Medicines Agency: Meeting highlights from the Committee for Medicinal Products for Human Use (CHMP), 18–21 May 2015. www.ema.europa.eu/ema/index.jsp?curl=pages/news_and_events/news/2015/05/news_detail_002328.jsp&mid=WC0b01ac058004d5c1 Last accessed 24 May 2015. Zalcman G, Rizvi NA, Lena H et al. Phase II study of nivolumab (anti-programmed death-1 [PD-1]) in patients (pts) with advanced, refractory squamous (SQ) non-small cell lung cancer (NSCLC). (Abstract 104PD). Presented at: European Lung Cancer Conference. Geneva, Switzerland, 15–18 April 2015. Uso M, Jantus-Lewintre E, Sirera R et al. Immune checkpoints score and CD8+ T cells infiltration are independent prognostic biomarkers in resected NSCLC. (Abstract 39O). Presented at: European Lung Cancer Conference. Geneva, Switzerland, 15–18 April 2015. Janne P, Ahn MJ, Kim DW et al. A phase I study of AZD9291 in patients with EGFR-TKI-resistant advanced NSCLC – updated progression free survival and duration of response data. (Abstract LBA3). Presented at: European Lung Cancer Conference. Geneva, Switzerland, 15–18 April 2015. Kerstein D, Gettinger S, Gold K et al. Evaluation of anaplastic lymphoma kinase (ALK) inhibitor brigatinib [AP26113] in patients (Pts) with ALK+ non–small cell lung cancer (NSCLC) and brain metastases. (Abstract LBA4). Presented at: European Lung Cancer Conference. Geneva, Switzerland, 15–18 April 2015. Gautschi O, Bluthgen M, Smit E et al. Targeted therapy for BRAF-mutant lung cancer: Results from the European EURAF cohort study. (Abstract 98O-PR). Presented at: European Lung Cancer Conference. Geneva, Switzerland, 15–18 April 2015. Sarfaty M, Moore A, Gottfried M, et al. KIF5B & CCDC6 RET in lung cancer: Clinical insights and response to personalized based therapy. (Abstract 115P). Presented at: European Lung Cancer Conference. Geneva, Switzerland, 15–18 April 2015.